Here’s one that came out of the blue. 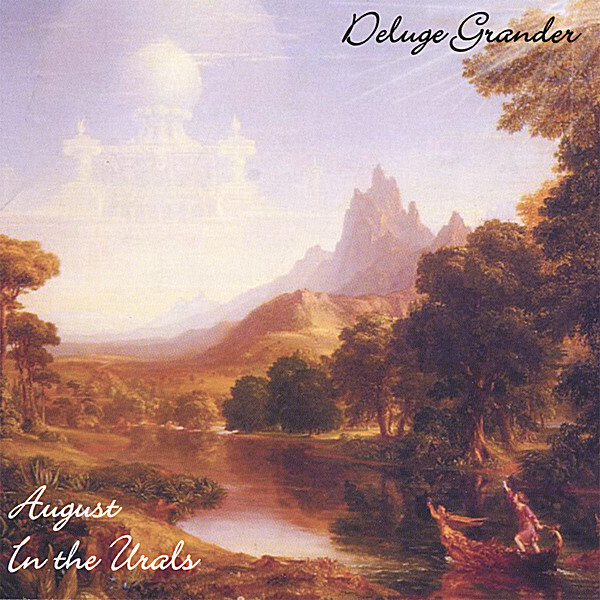 Maybe I haven’t been paying attention, or maybe the action is half a world away from me, but somewhere out there is a prog band called Deluge Grander that’s pretty darn cool. To my ear, they strike an appealing balance between old and new, with enough familiarity to be decidedly prog, but enough of their own sound to not seem redundant. It’s mostly instrumental, and I must admit to a bit of impatience with the vocal parts, as on the title track. While I’m okay with the fact that the vocals fall into a lower register than your typical tenor range for rock singers, I’m put off by the way they fit in – maybe it’s something I’ll get used to, and they’re mostly low in the mix anyway. The sidelong “Inaugural Bash” that starts things out is quite tasty all the way through. The vocal bits here are distant and borderline silly, reminiscent of some of Peter Gabriel’s goofy voices in early Genesis tunes. And pre-Lamb Genesis is indeed the prime reference here, though with a nod to Eastern Europe. I suppose some listeners might find it a little too reminiscent, but I’m quite comfortable with the sounds I hear. Maybe if the guitar sounded like Hackett I’d be complaining – as it is, there are some nifty eccentric effects used. And there’s tons of Mellotron, well utilized to set moods and even occasionally come to the fore.